Sharks! Known as the beasts of the sea, they are some of the most advanced predators Earth has ever seen. At the same time, there is still a lot of mystery surrounding these highly intelligent creatures. Much of the mystique remains hidden within the shadows of the deep, dark Ocean. We do know this much – They are an integral part of the worlds aquatic ecosystems and they are worthy of both our attention and protection. 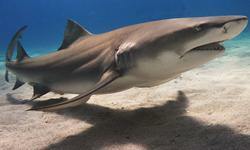 The Best Shark Facts On Dry Land! To all shark fans and informatoin seekers: Grab yourself a beverage and get comfortable because you’ve just found the best shark site on the web! 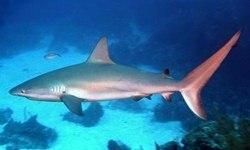 Whether you’re looking for general facts about sharks, information about certain types of sharks, or are concerned about the hunting and poaching of these magnificent creatures, you’re sure to find what you’re looking for. Without further delay, let’s get started! Check out all of the shark breeds we’ve covered so far in the right column or browse through some of our featured sharks below.